Today I'm cooking and loving it! Time is not on your side and you are yearning for a quality meal? 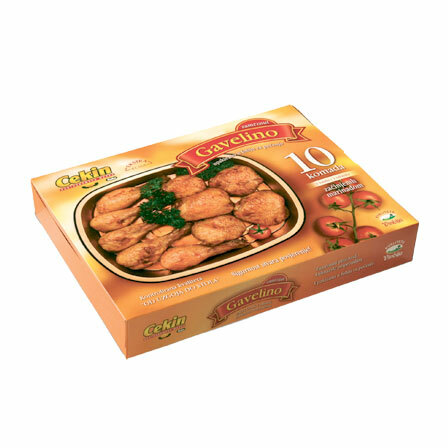 We recommend our pre-prepared meals made from the finest Cekin chicken. 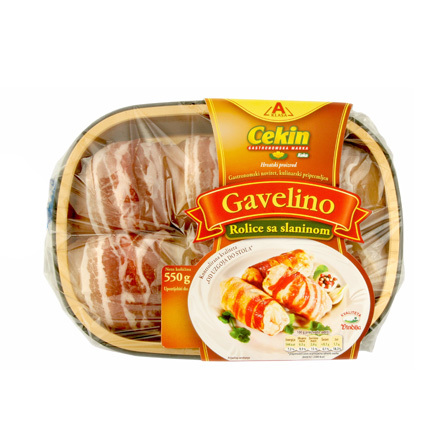 For the best gourmet moments , we suggest Gavelino chicken as well as the 'Contemporary gastronomy' group of products of irresistible flavours and top range food preparations that will help you prepare your favourite meat dishes far easier. 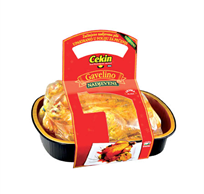 Cekin chicken breast filet steaks, which provide an irresistible chicken flavor, abundance of vitamins and the guarantee of domestic origin, are packed in practical cups, and the weight of each individual product is 400 grams. 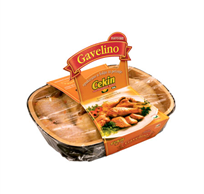 CEKIN Chicken meat - a perfect meal! 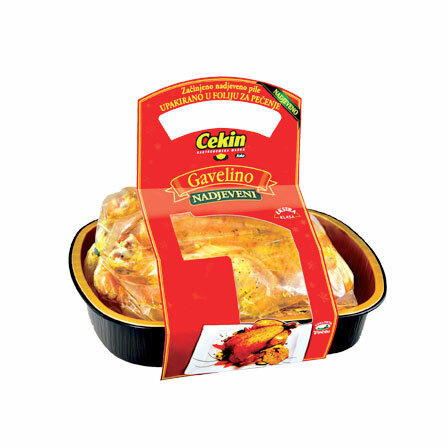 Cekin Gavellino – natural, healthy, light chicken, mildly enriched with a mixture of spices, packed in a cook-in bag and tray, ready for your oven. The chicken packed in this specific packaging is roasted within its own juices preserving all the nutrients. The roasted product is easily digestible, savoury and low calorie, and even your oven stays clean! 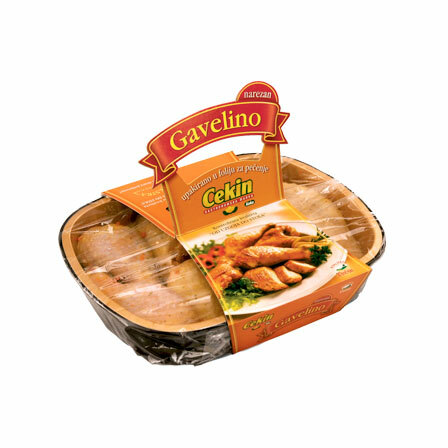 Cekin Gavelino – delight, knowledge and goodness. 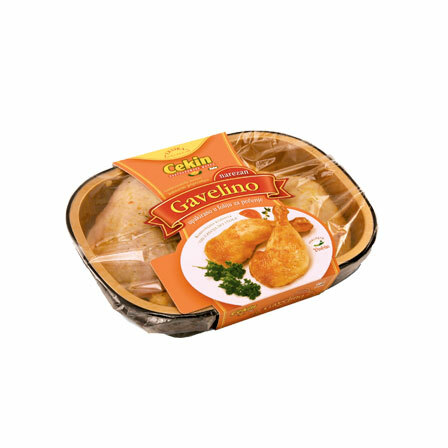 In order for you to enjoy your Gavelino even more, we have taken a step further and added an enticingly delicious traditional stuffing, just like the those our grandmothers and mothers once made. The basic ingredients of the stuffing consist of toasted bread cubes, cheese and traditional seasonings, like parsley and garlic. The stuffing is cooked inside the chicken and soaks in the roasting juices, which creates a special harmony of flavours. 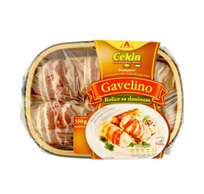 What is the best way to cut stuffed Gavelino? First cut the wings using a knife, then drumsticks and thighs. Following this use kitchen shears to cut the ribs along the breast line, removing the whole breast separating them from the spine. Take the stuffing out and cut it in slices. For a perfectly savoury meal, pour some roasting juice over the meat and stuffing. 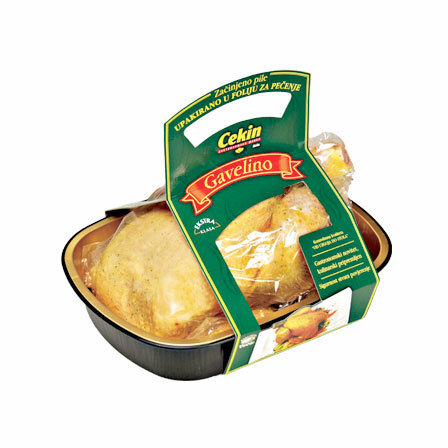 Traditional, savoury and especially delicious - stuffed Gavelino!